Has Your Restaurant Dream Become A Nightmare? Does your dream about running a restaurant feel like it has become a nightmare? Remember how excited you were the day it became a reality? If you are suffering from stress, low profit margins, staff issues, and supplier challenges then wake up and fight back now. Course correction means education first and foremost. Seriously, we all know running a restaurant is hard work. For those of you who have been in business a while, you know this. If you are a first time restaurant owner let's talk about your options. First things first, if you don't want to be a statistic, then listen up. 60% of restaurants fail in their first year. 80% will not make it past 4 years. The biggest reason for this is lack of education. About the industry, about supply chains, about foodservice, and about your dining patrons. If the food is consistent, prepared well, tastes great, and remains a quality place to eat...you in business. But even with all that in place, if you fail to manage it well, you are doomed. Keeping that in mind, remember mistakes can either teach you or cause you to fail. No other options are more real to you to be successful in the food service industry. Educating yourself about how not to fail is the first step. The second is making the right decision about how to fix the challenges you must face daily. You may be surprised to learn that there are common mistakes made by restaurants all around the country. You may also be surprised to learn it is usually not just one thing that is causing failure. Several issues may compound others and before you know it you have a ball of confusion on your hands. It's time to take charge of every challenge and fix it. Then set realistic goals about the total restaurant to do better at the rest of the process's you need to implement; you get the picture right? It has to be complete from supplier relations to marketing across the board to really meet your goals. And yes if you forget to set goals, nothing may happen in the time line you think. The next series of articles is going to break down areas of concern in running your restaurant, cafe, school lunch program, university cafeteria, hospital, or bar setting. While each have particulars these ideas are to stimulate how you operate, how it can be better, and how to overcome the challenges that created the problem in the first place. For over 30 plus years, Main Auction Services has been in business to serve you and make your foodservice location better. Equipment, restaurant equipment, bar equipment, smalls, real estate, and so much more all are required to be a successful business. Our industry has the technology, the people, the manufacturers, and food supply chain management process' to have a successful bottom line and provide your patrons with quality food at a great price. Here we go. 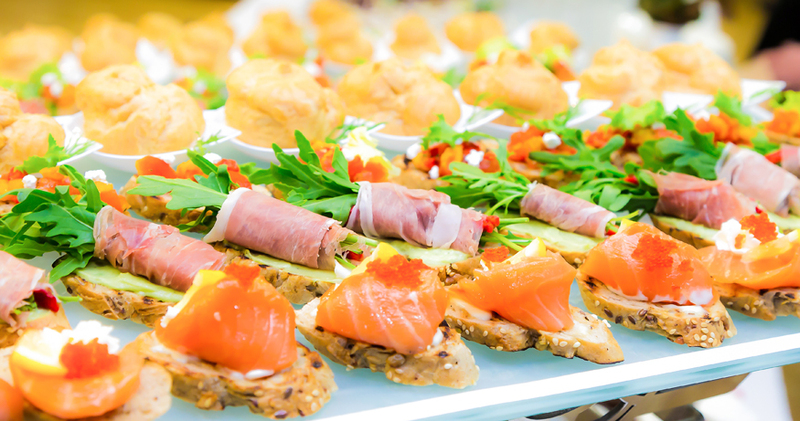 Are you guilty of not paying attention to your food costs? Managing your food costs can be a time-consuming process. With food costs at 1/3 of your overall budget every month keep it in check every day. Don't allow this to eat away your bottom line. Inventory is the big culprit. COGS numbers are a necessity. Managing inventory means finding and keeping those numbers in your face every day. Keeping it real. If you are a large food chain you may have access to restaurant technology to do it for you. Be sure to check it out. Learn about "Cost of Goods Sold " COGS is not one time per month. Weekly is your best option to maximize those percentages which will enable you to pin point where changes can be make. Remember your supplier can help you. Discipline, awareness, and options for changes in that valuable relationship means you are in control. Sit down quarterly meetings and reviews in person or by conference calls is always possible. Online software is out there to use and for not much money. Keeping food costs low and making sure they are accountable makes it work as a team. No autopilot ordering. If you don't over order, costs stay down. Paying attention, planning ahead for special seasons, events, and keeping a close watch on food in and out of season for menu changes can keep the dining patrons you worked so hard to get staying around as often as they can. Wasted food can only be seen as throwing money in the trash. Do not ignore your prices. Why not price track for the best deal. Getting the best deal you can means stay tuned to options from competitors in supply chains, prices in the market for similar meals, and most importantly never never never skimp on the quality of the food you do purchase. Menu options can be seasonal and keep a handle on too much inventory. Find out about the top 25 items you buy every month and begin there. Local and national price awareness can really impact all your food costs. Set Pars. Stop throwing food away every day. End running out of ingredients during busy seasons, shifts, or special events; and if you begin with those top items you sell the most, it's a great way to begin keeping those food costs increasing your profits. Next time, we will continue on the next set of parameters in operations and supplier relations and dive head first in accounting. We all hate paperwork, but it has to be done. If you don't understand this you will not be in business for long. Whether you need to buy or sell one piece, or the contents of an entire restaurant, Main Auction Services is your resource for late-model restaurant, bakery and bar equipment. Call today to speak with a restaurant equipment specialist.